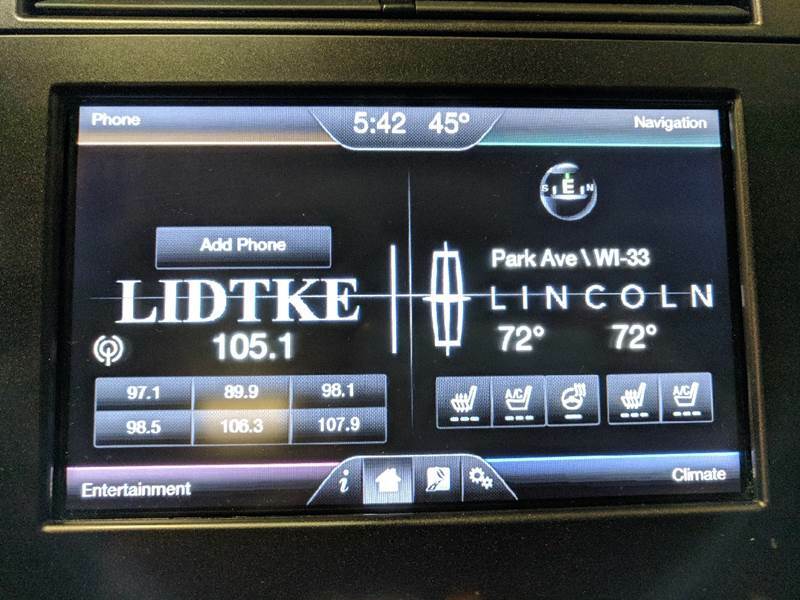 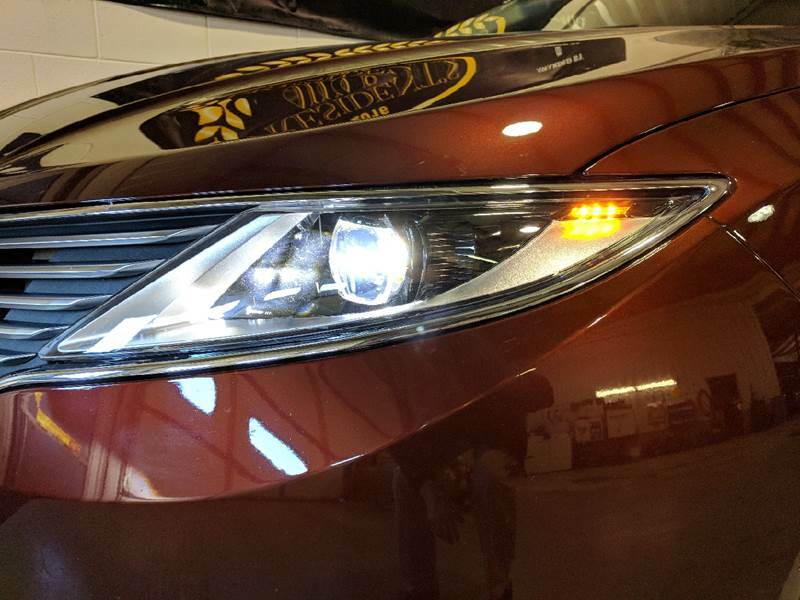 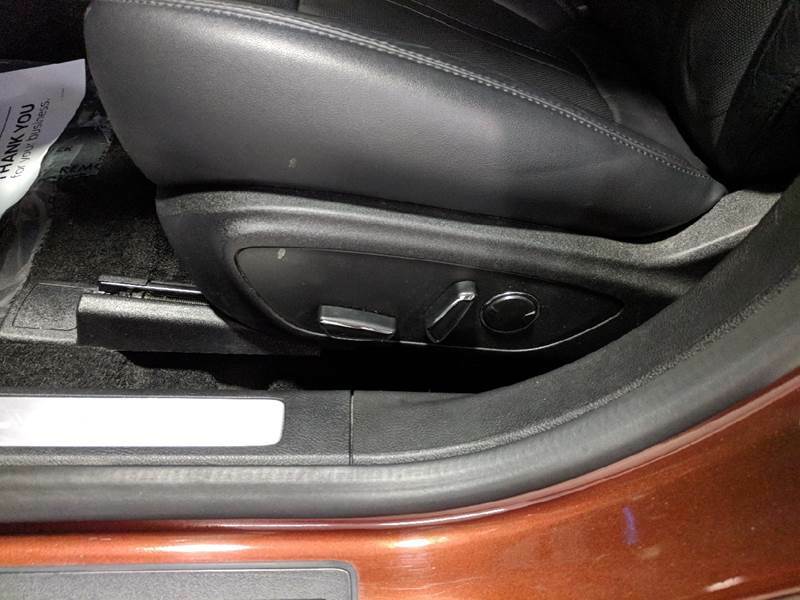 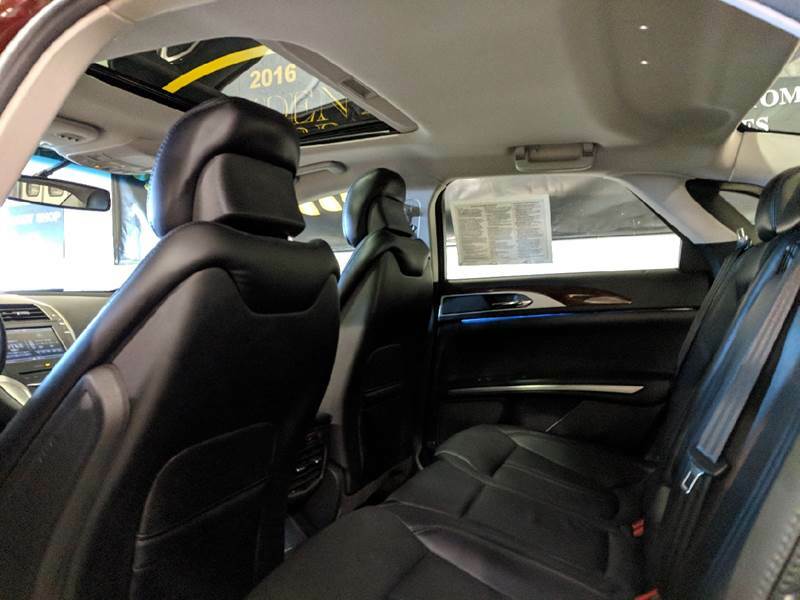 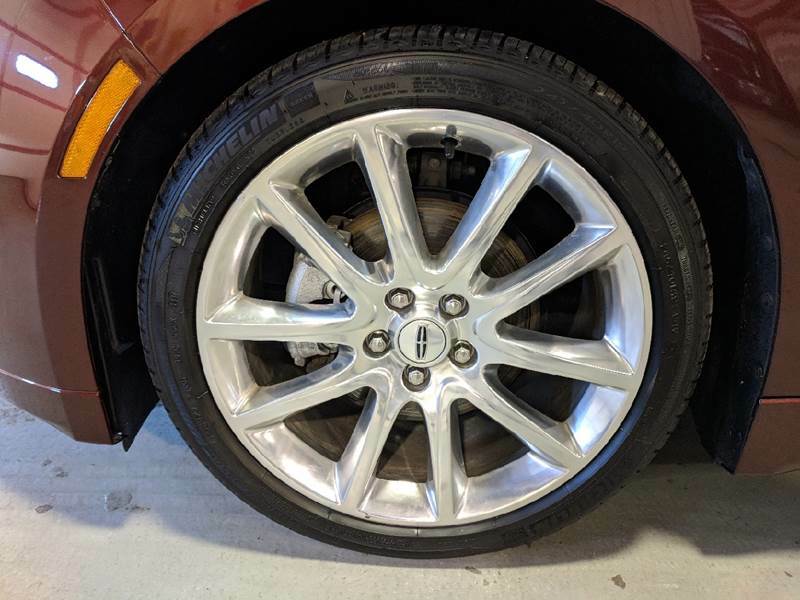 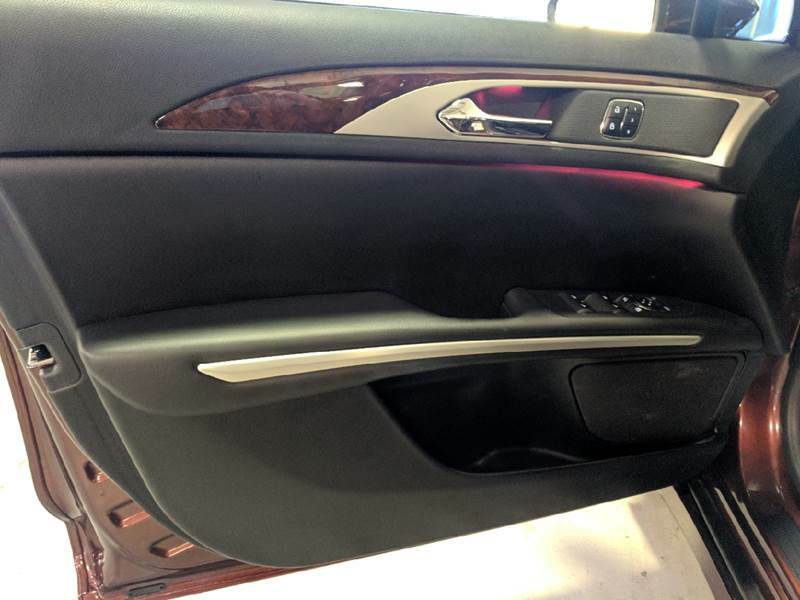 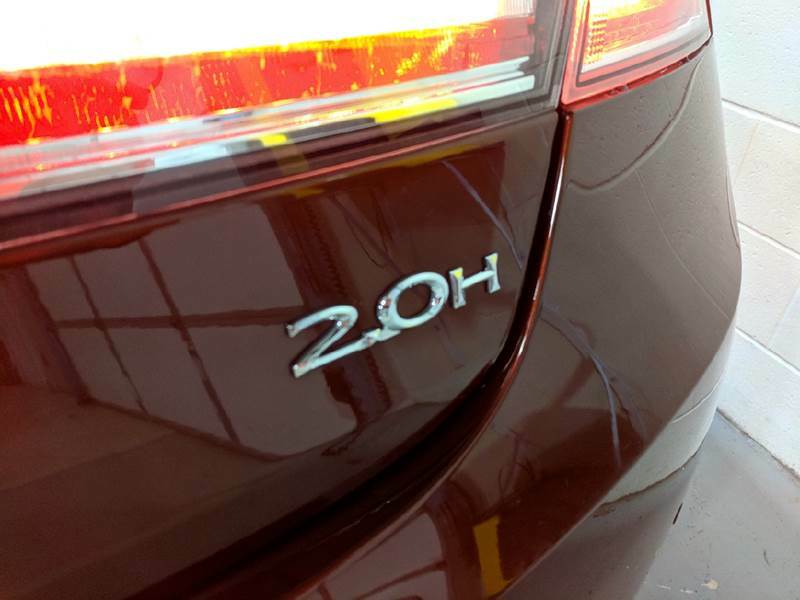 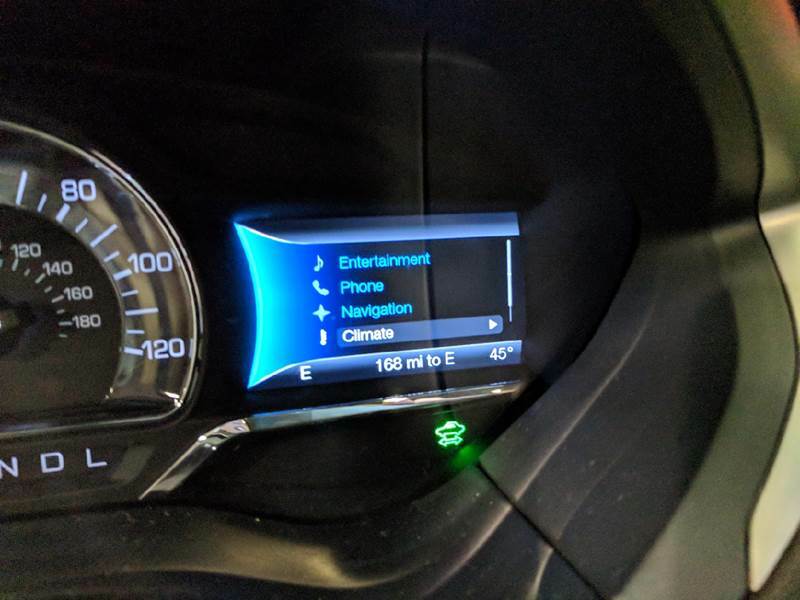 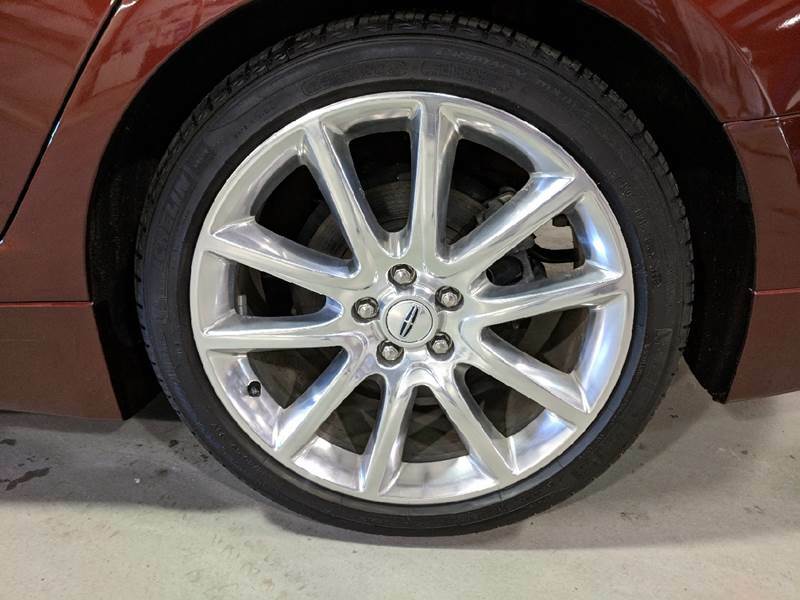 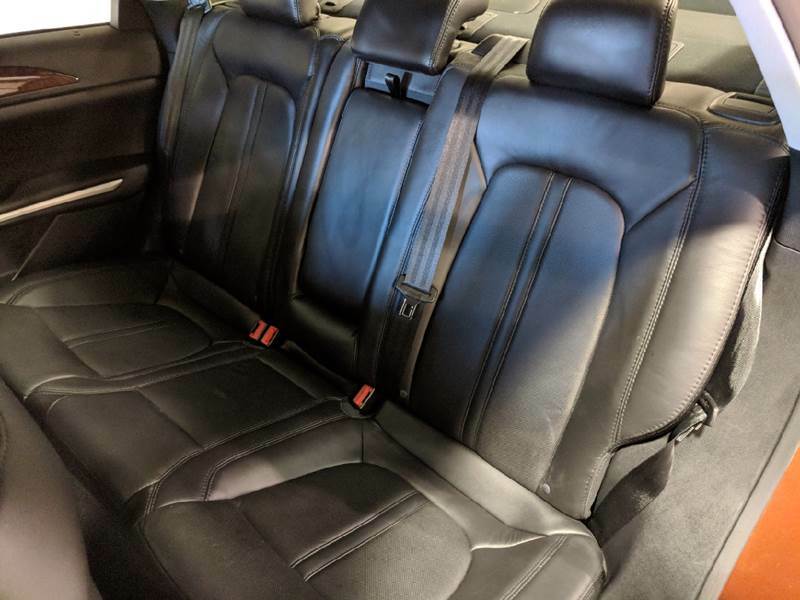 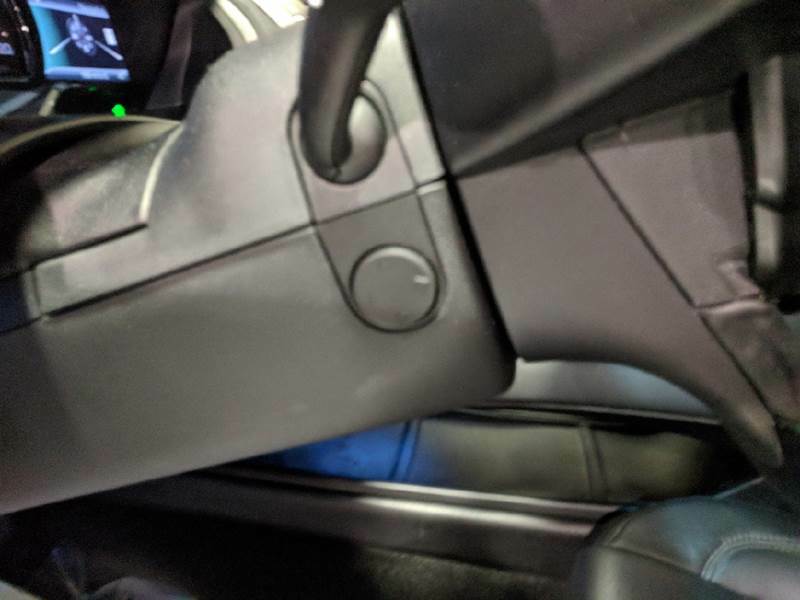 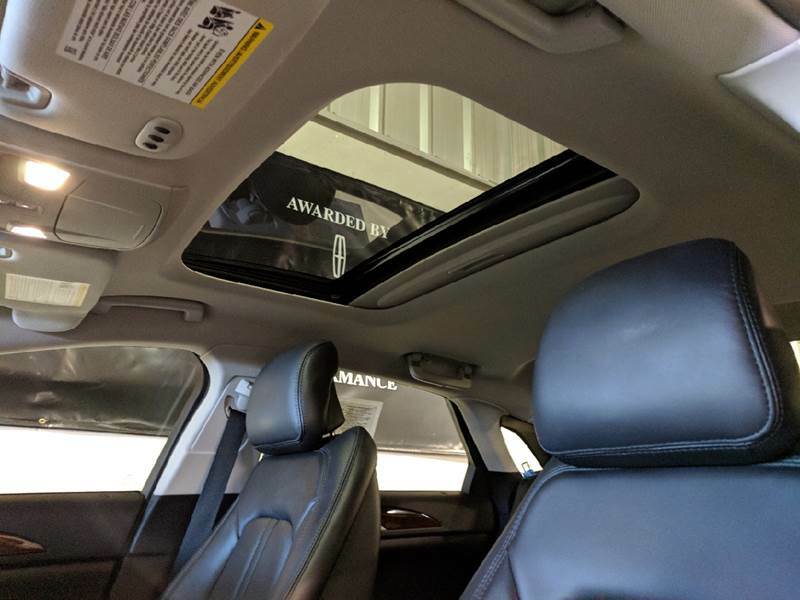 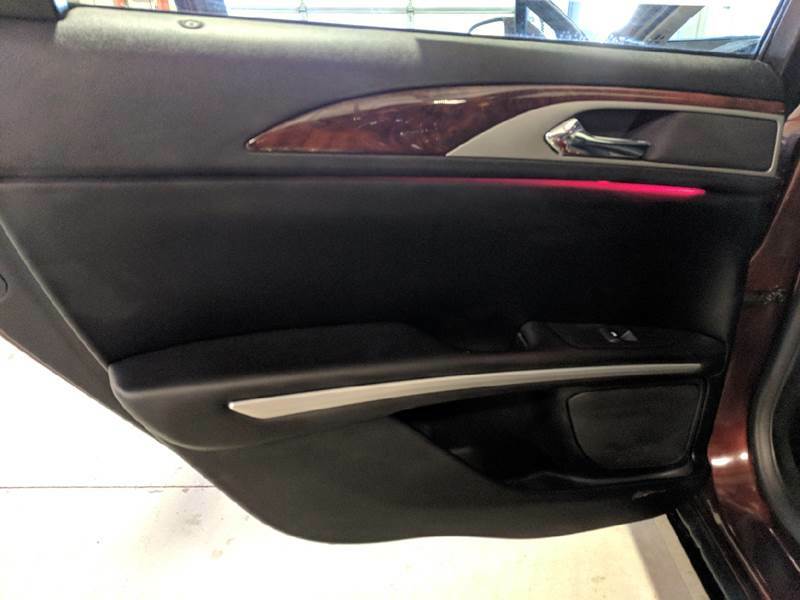 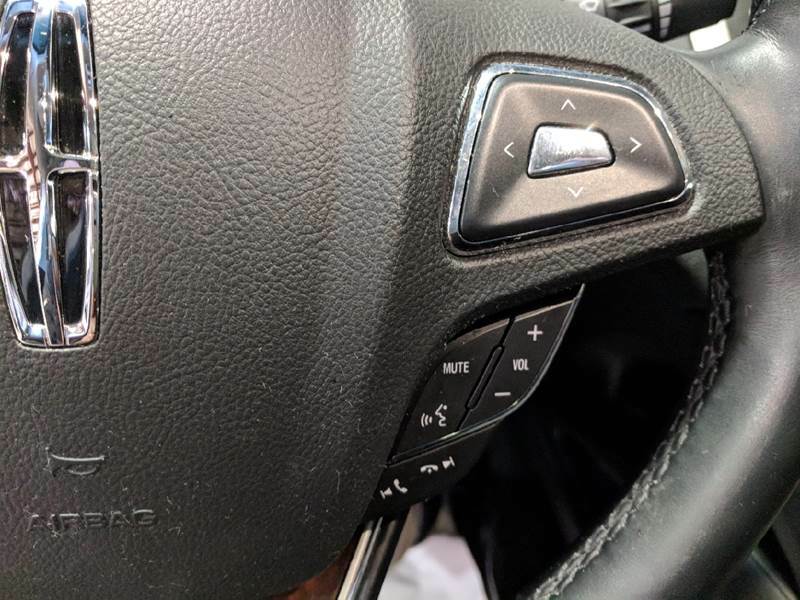 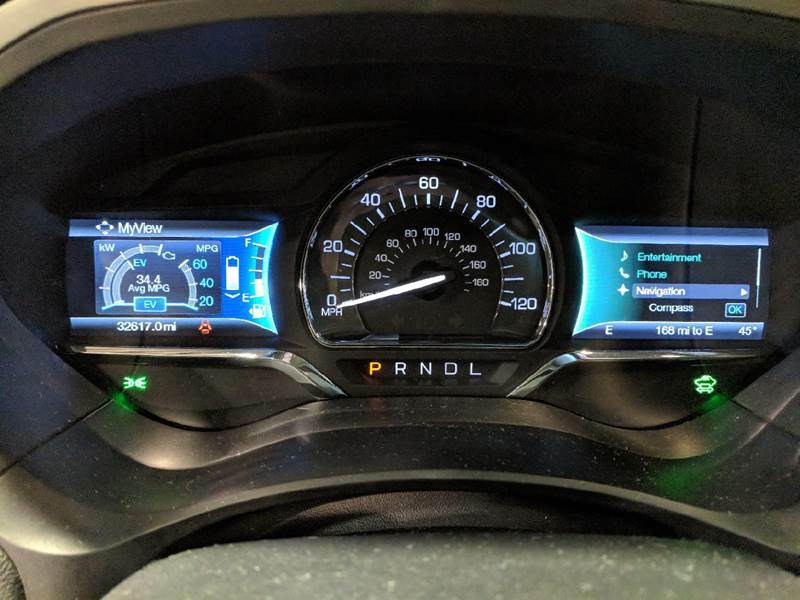 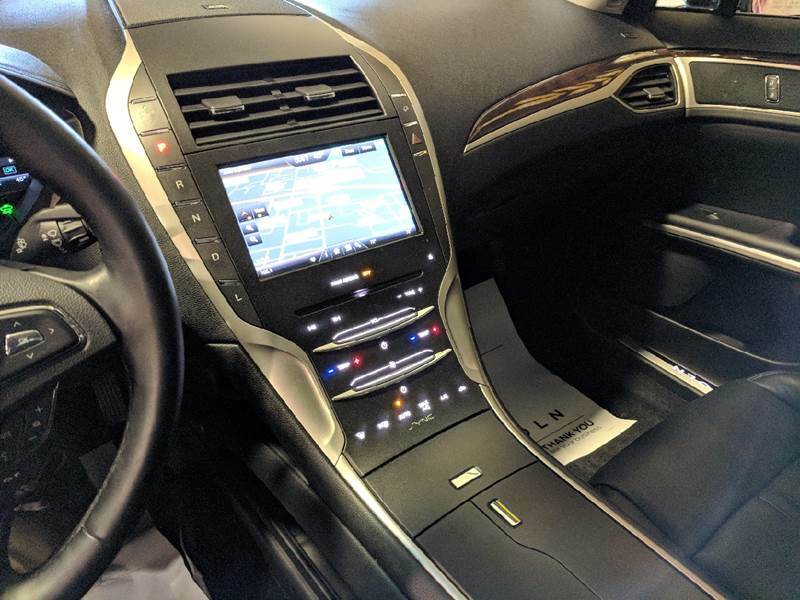 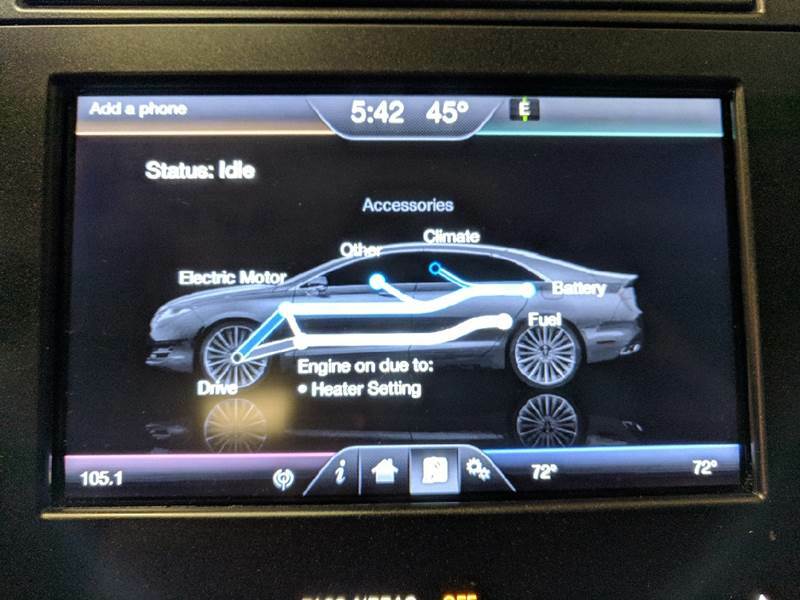 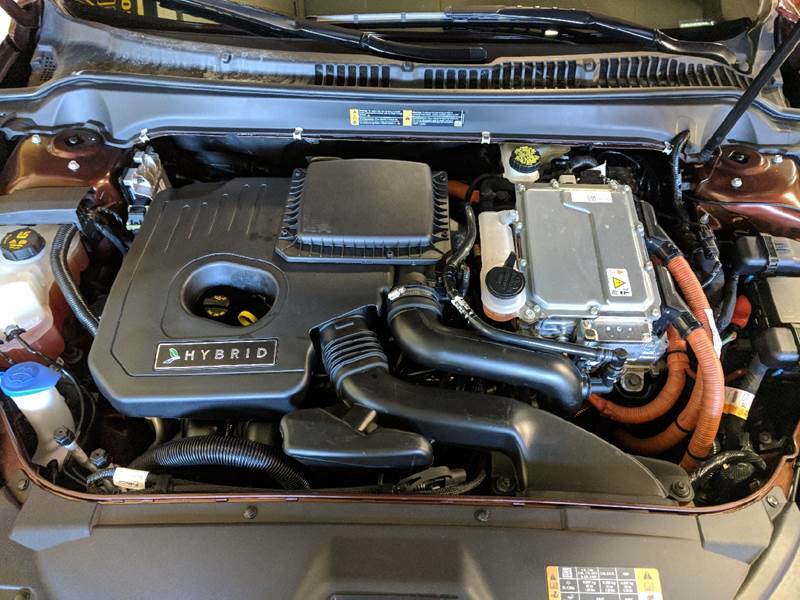 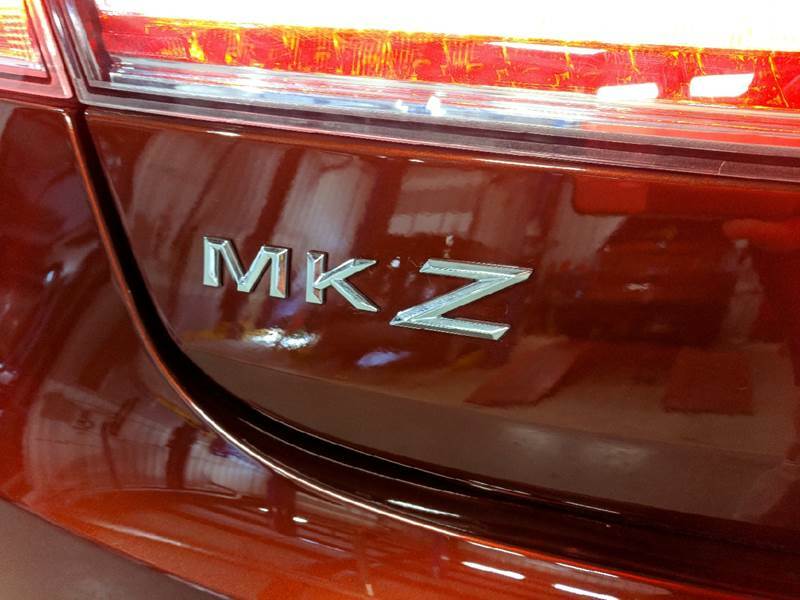 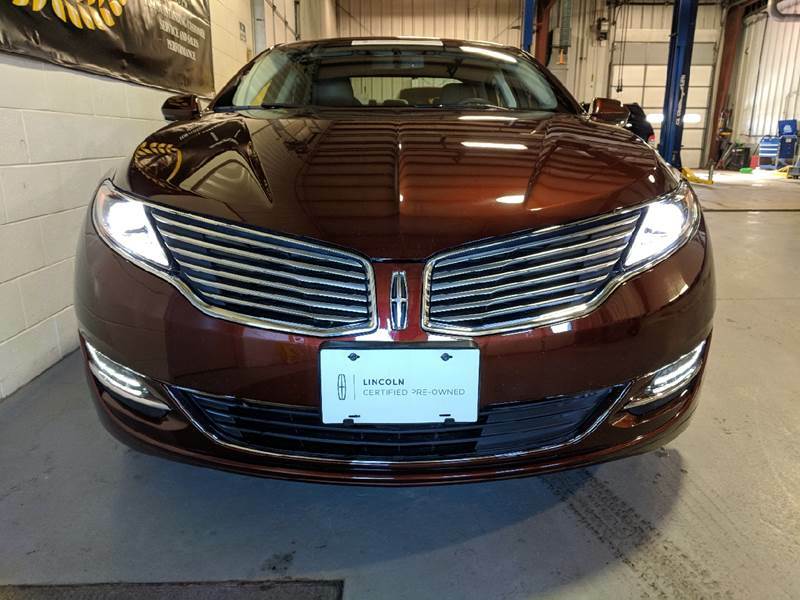 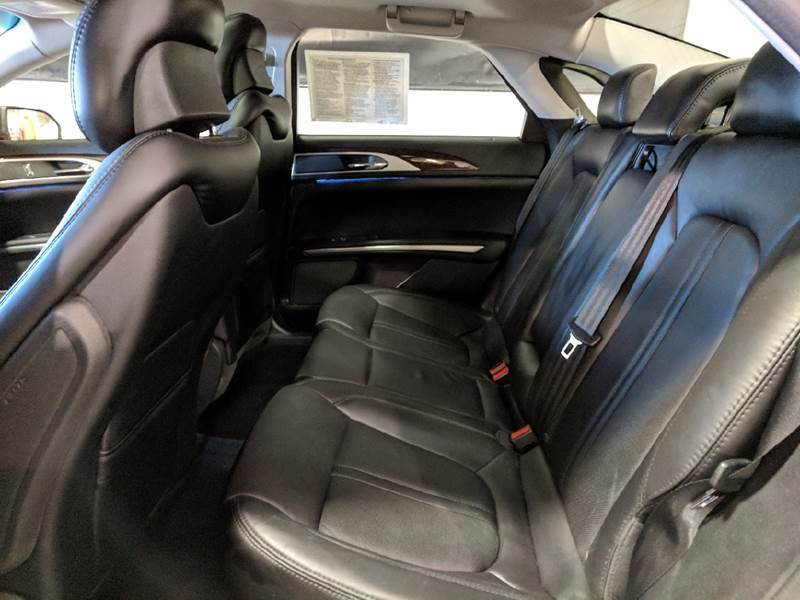 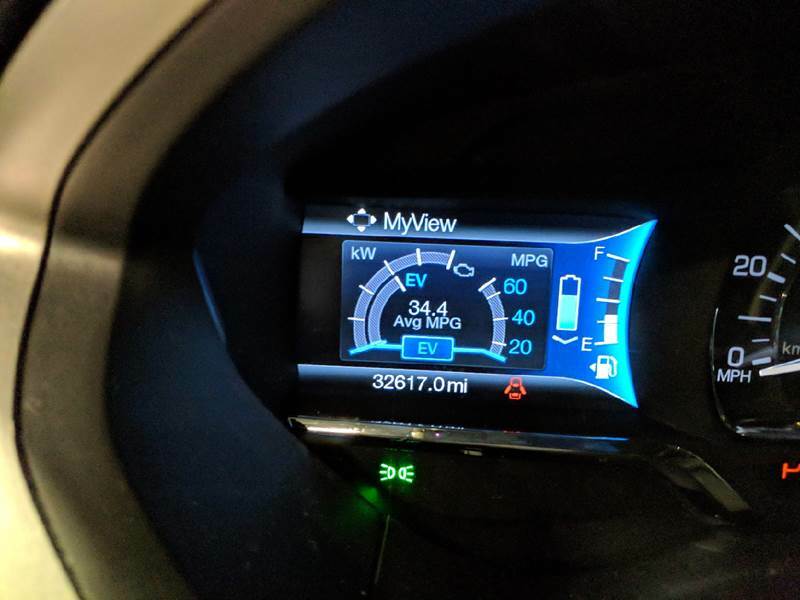 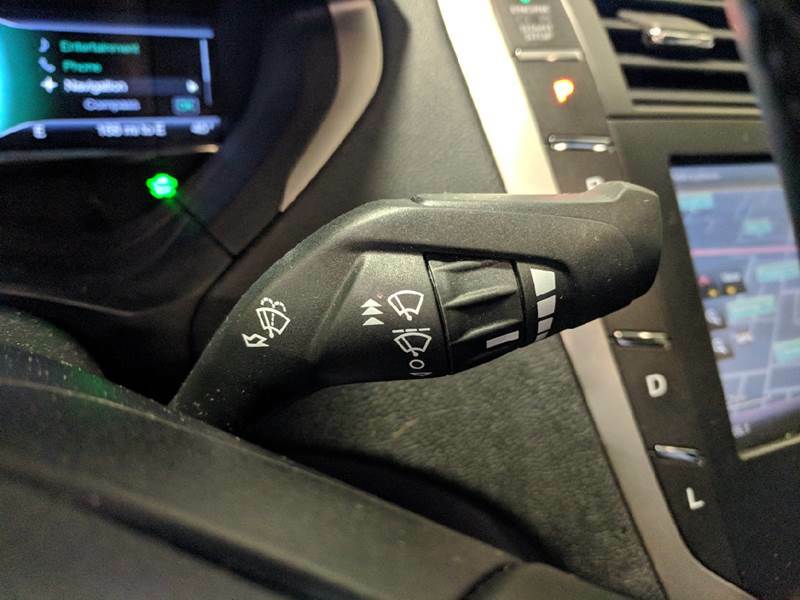 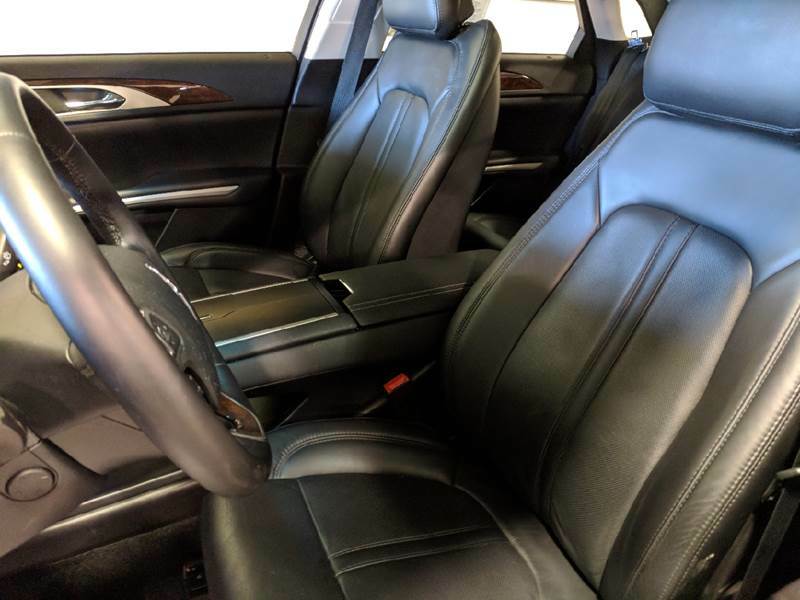 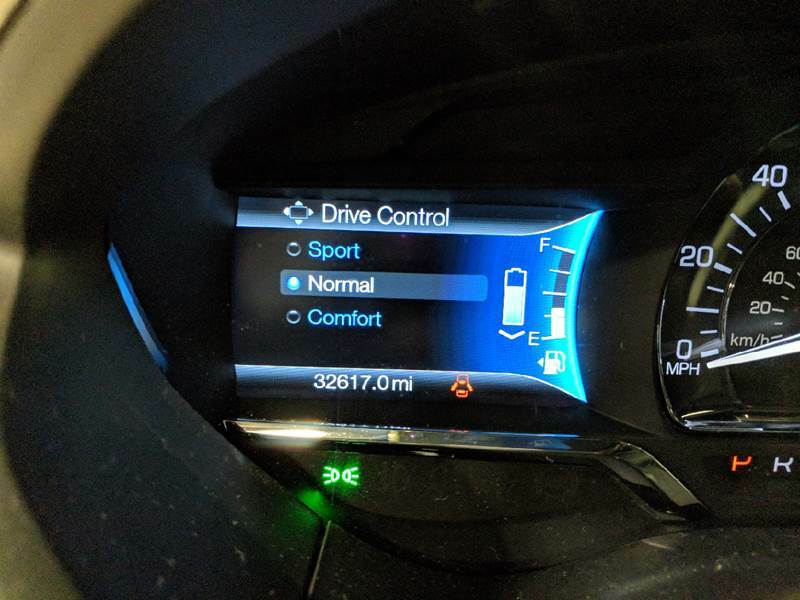 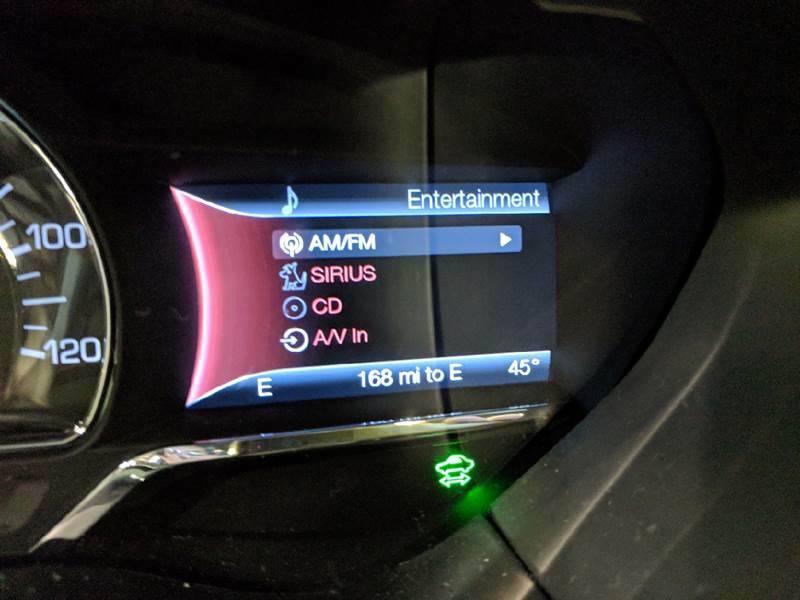 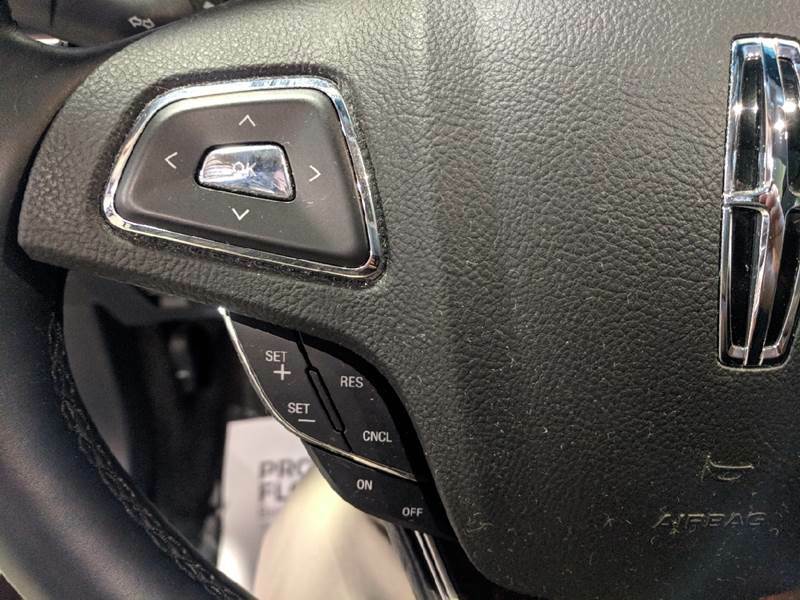 2015 LINCOLN MKZ HYBRID, Bronze Fire Mist Exterior, Ebony Black Leather Interior, 2.0L I4 Engine, E-CVT Automatic Transmission, Front Wheel Drive. 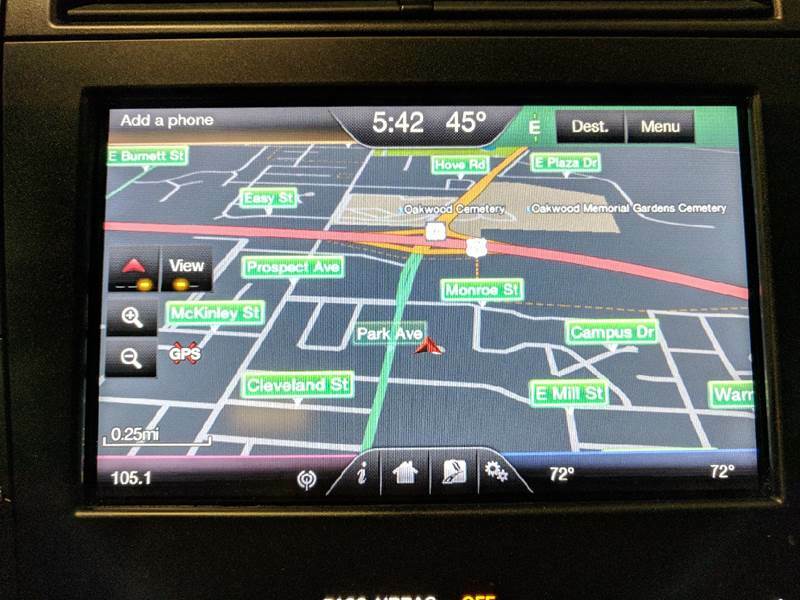 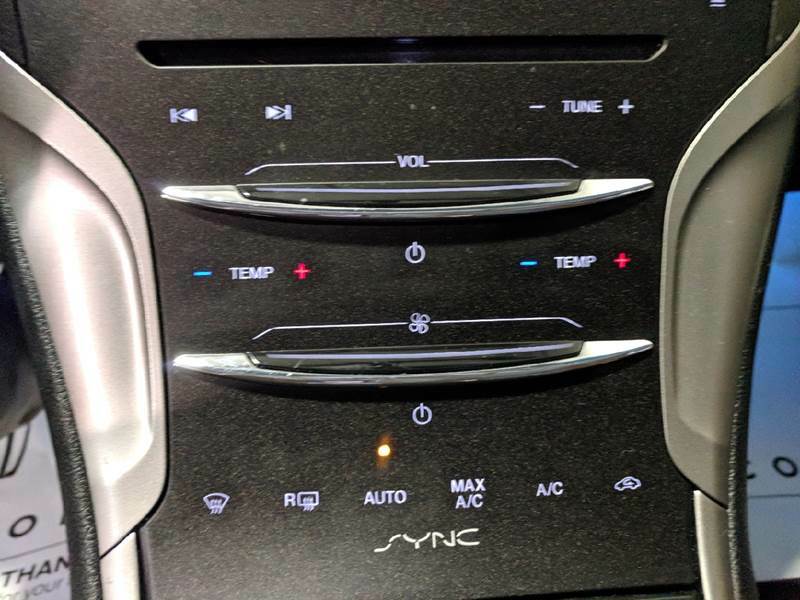 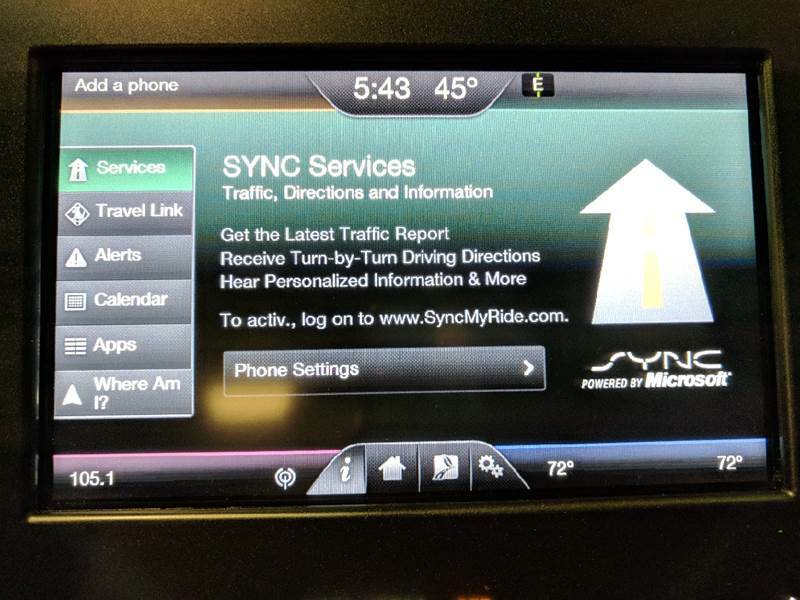 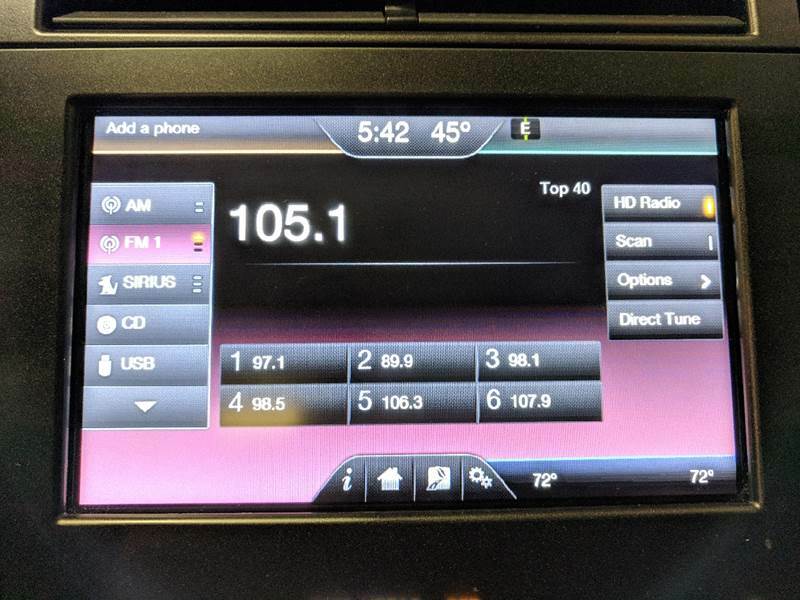 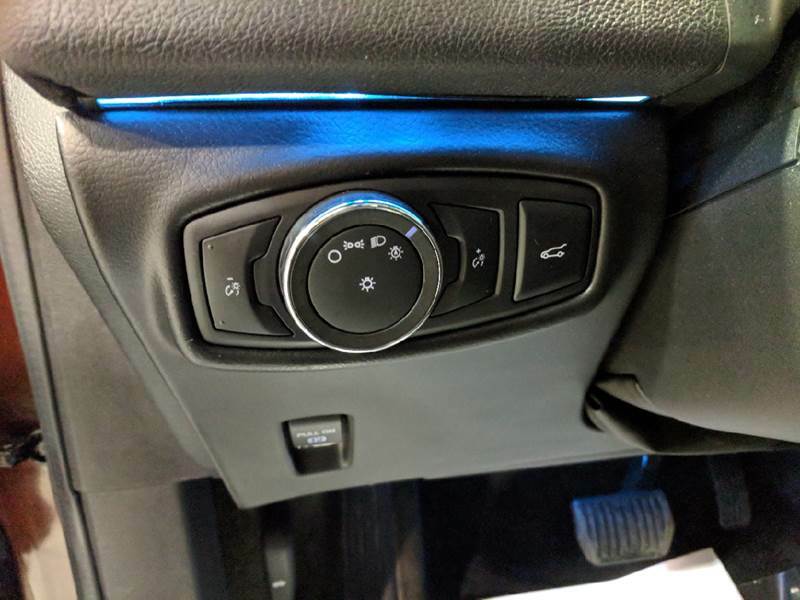 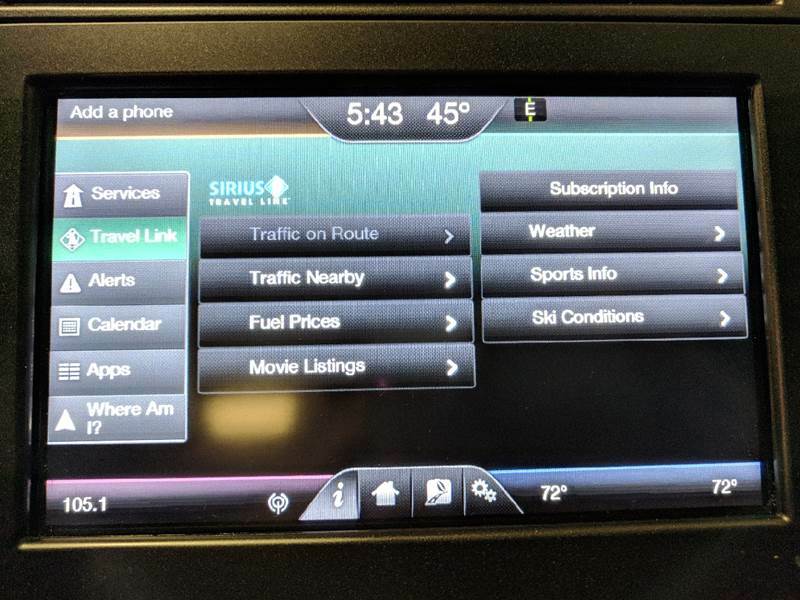 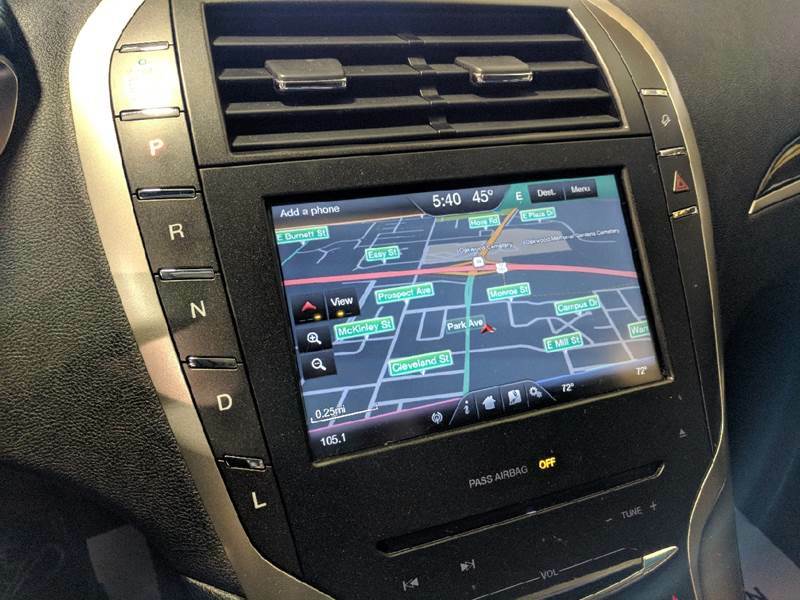 202A Reserve Package: Voice Activated Navigation with SiriusXM Traffic and Travel Link. 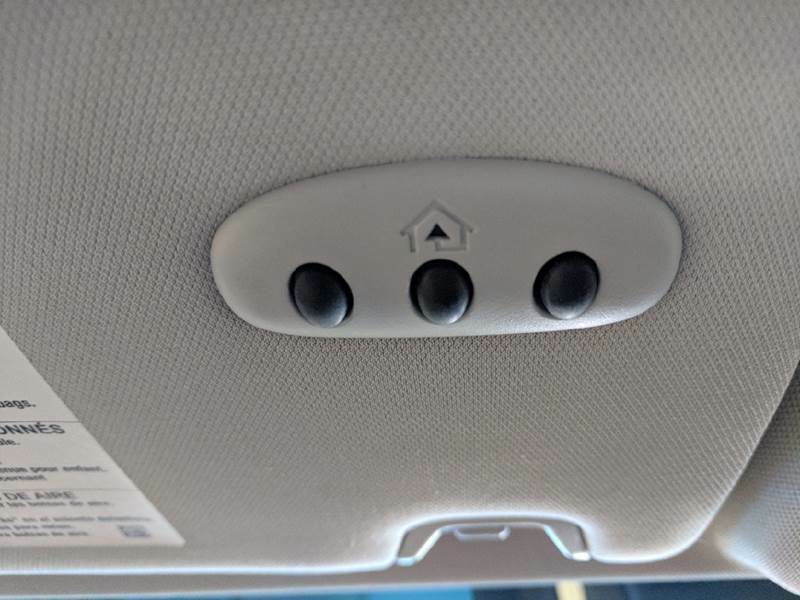 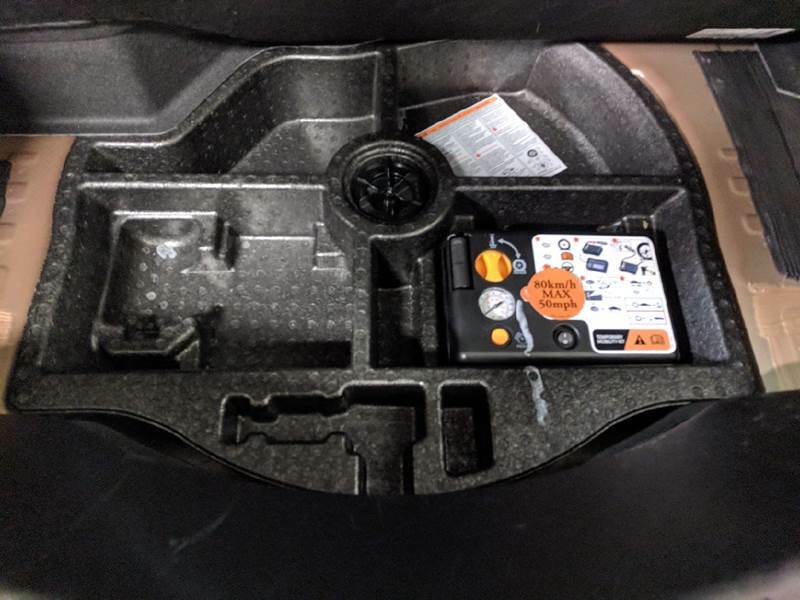 110v Rear Seat Power outlet. 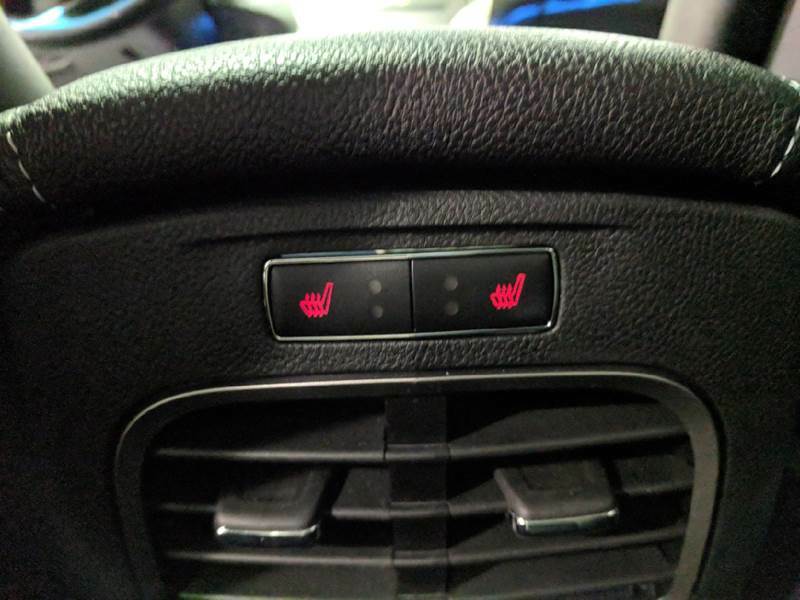 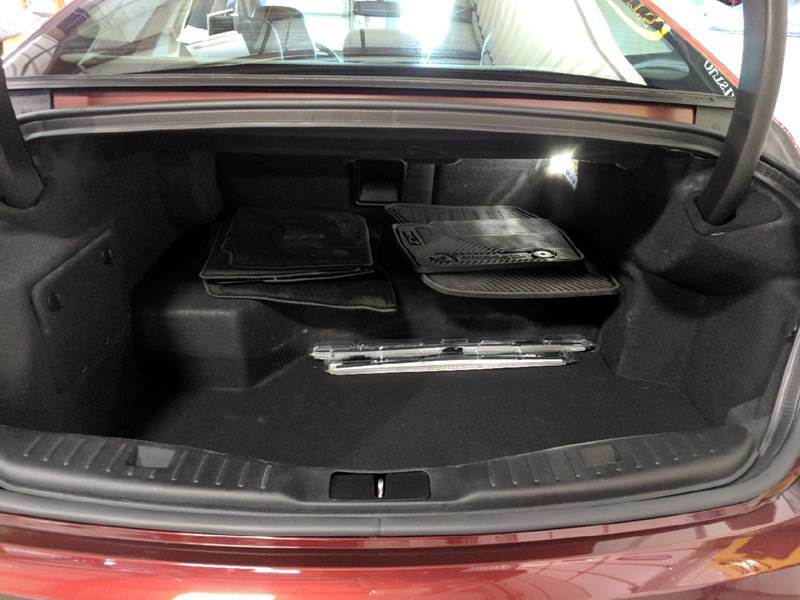 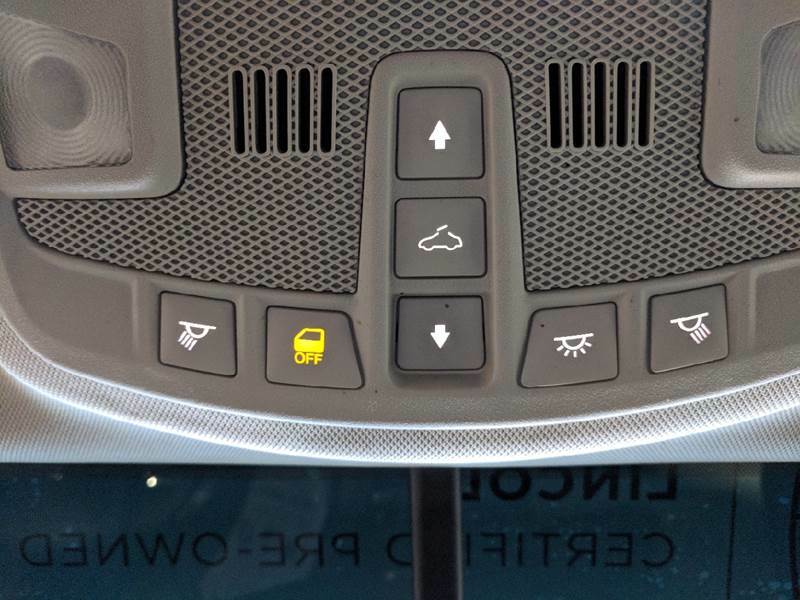 Heated and Cooled Front Seats, Heated Rear Seats. 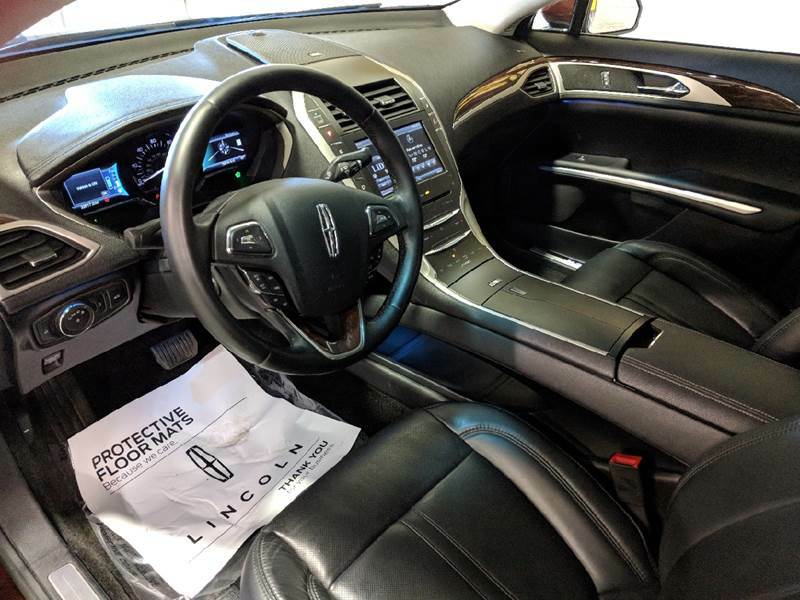 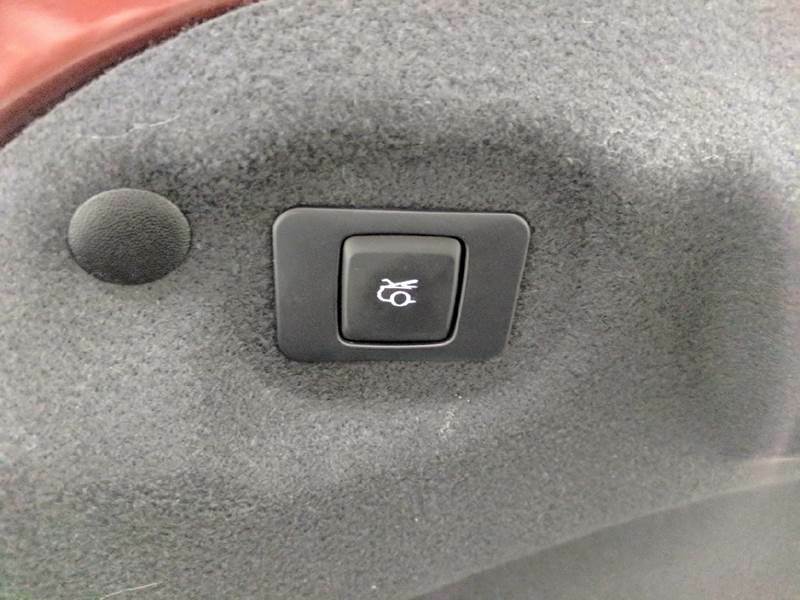 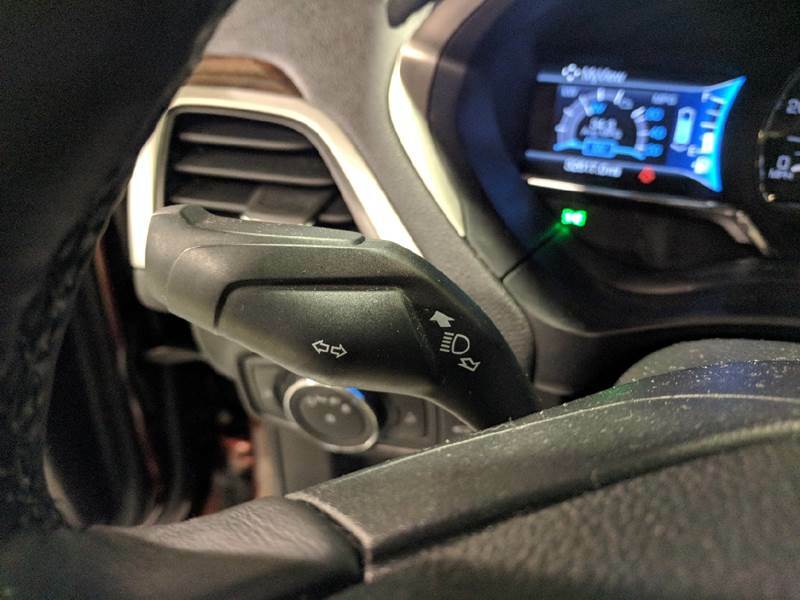 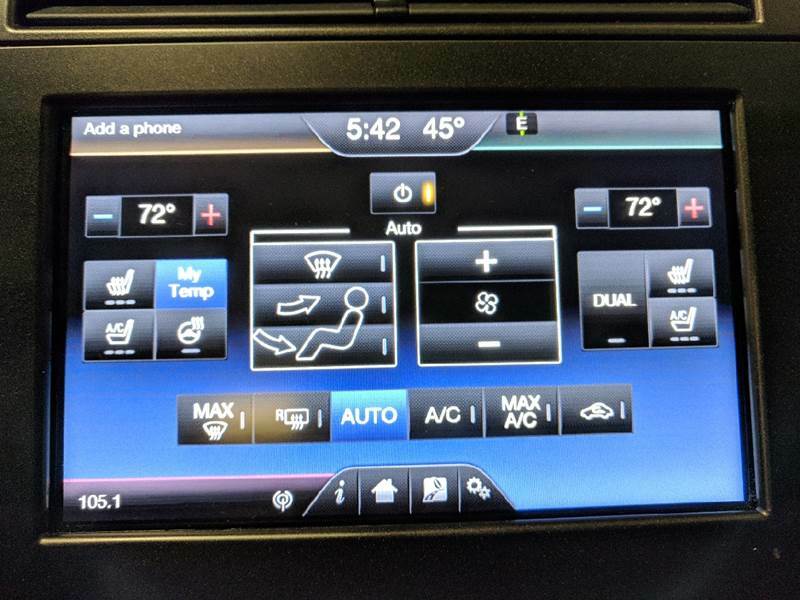 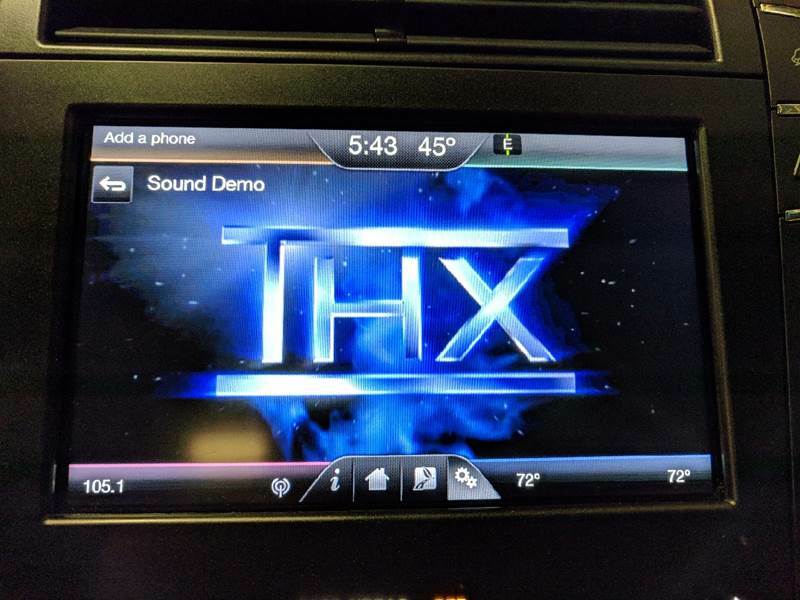 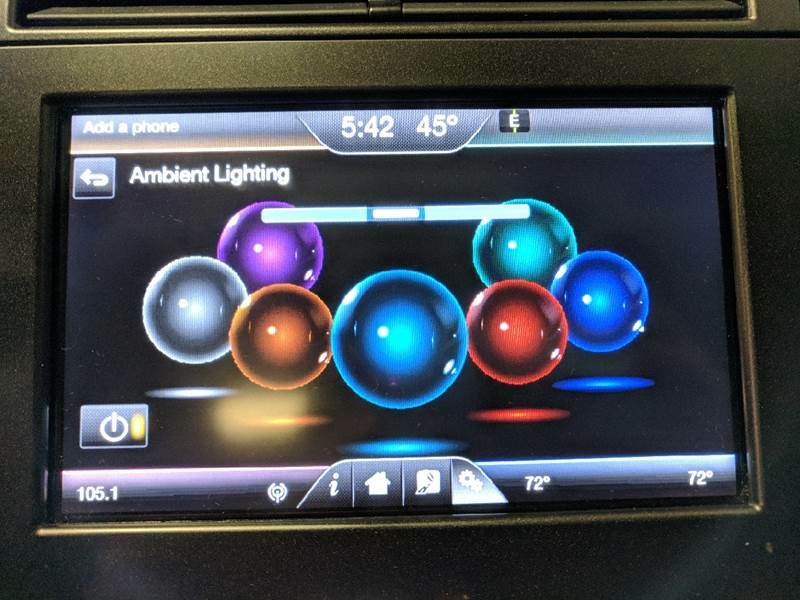 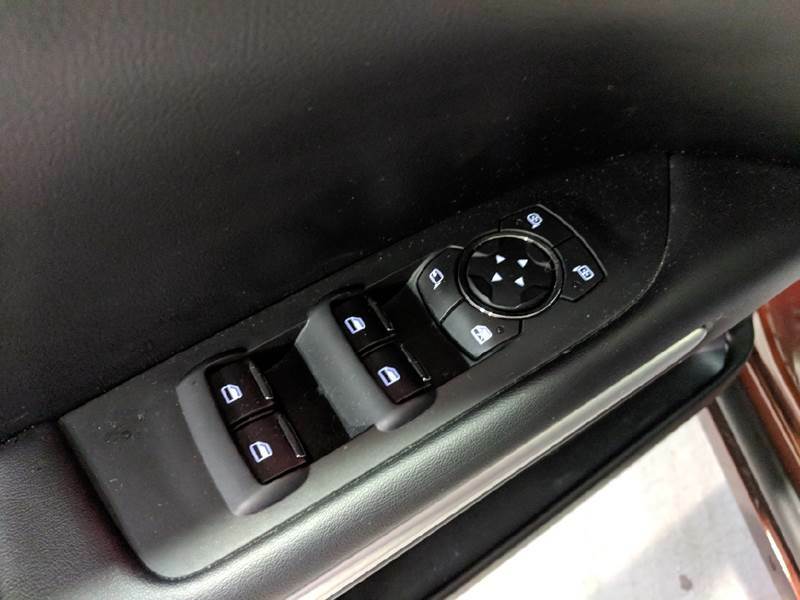 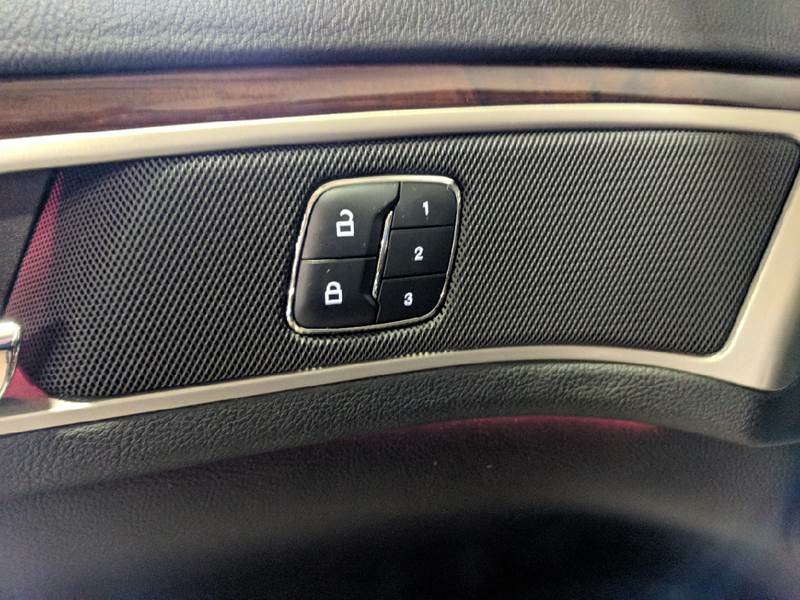 Electronic Parking Break, Ambient Lighting, Heated Leather Wrapped steering wheel with genuine wood accents. 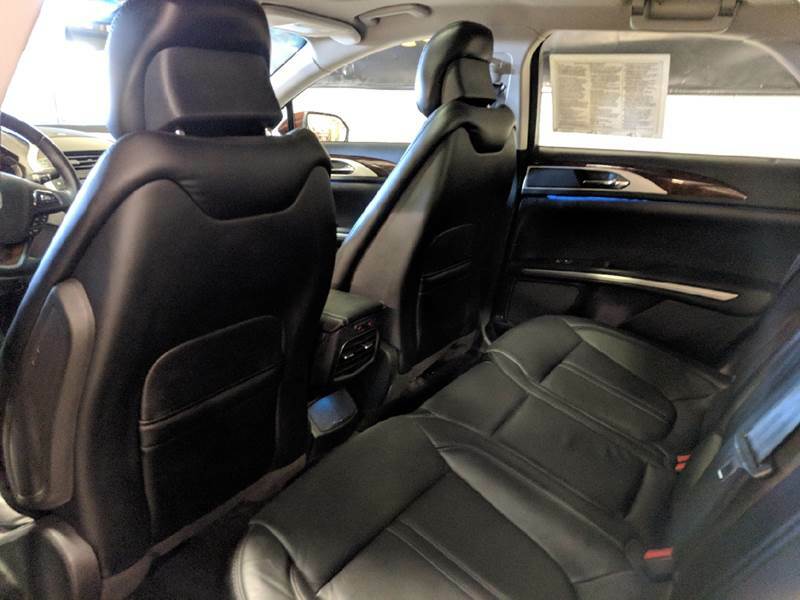 Leather Trimmed Seats, Driver/Passenger front knee airbags. 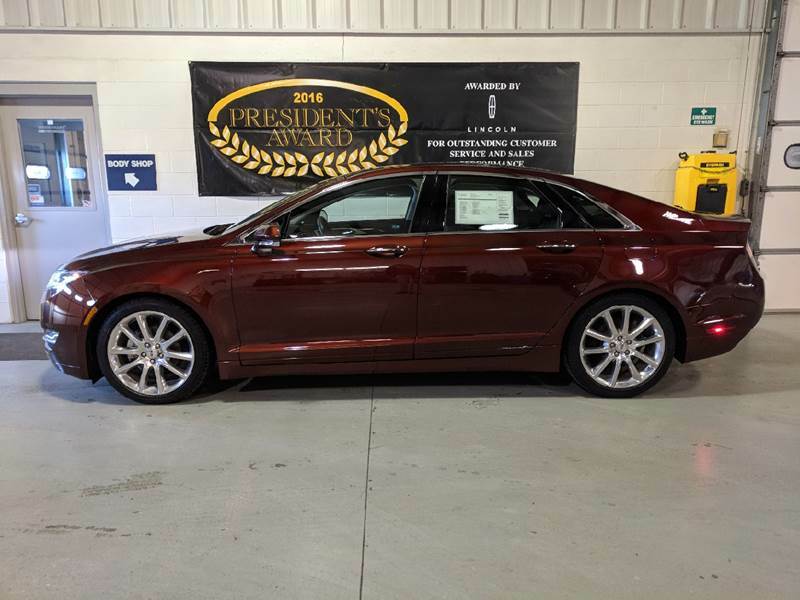 Remote Start, Power Moonroof, 19 Polish Alumin Wheels, Bown Spirl Walnut Trim, THX Premium Surround Sound Audio System, Engine Block Heater. 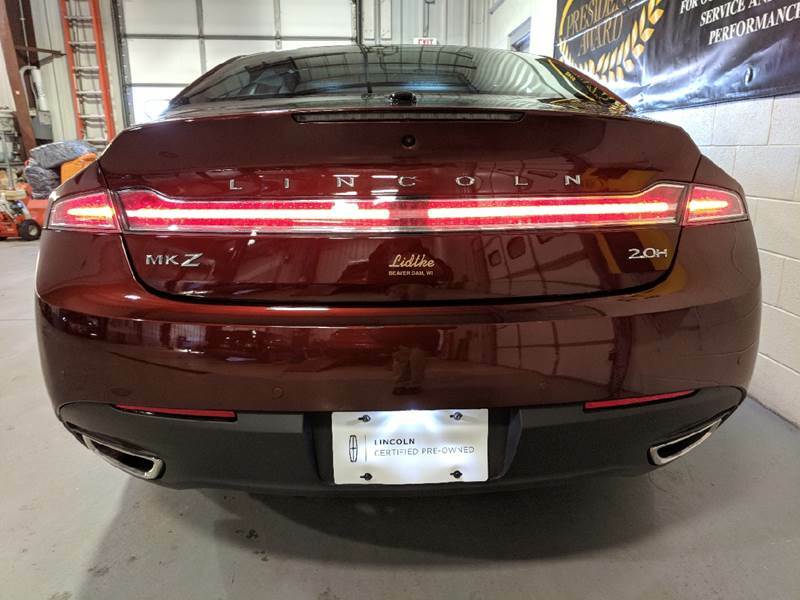 This is a Certified Pre-Owned Lincoln; this means it has passed an extensive 200-Point Inspection by a Lincoln Certified Technician. 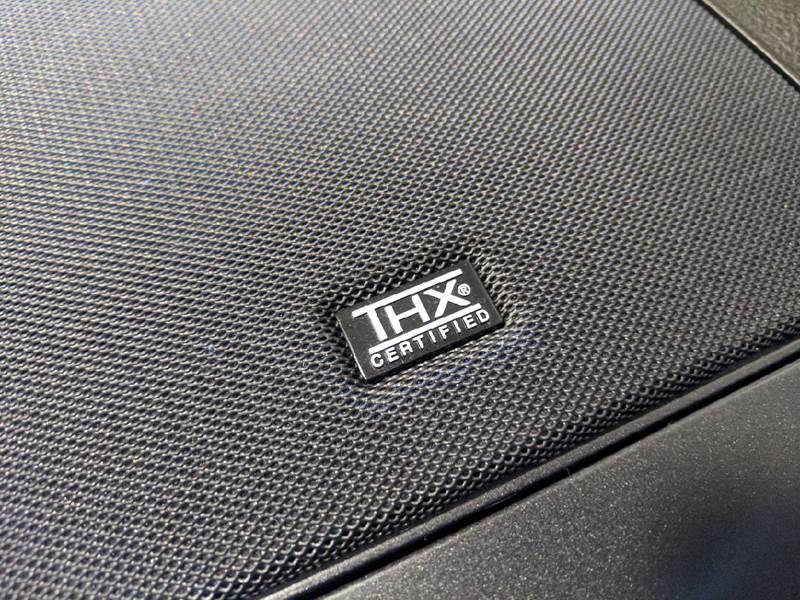 It comes with a 6-Year 100,000-Mile Comprehensive Limited Warranty. 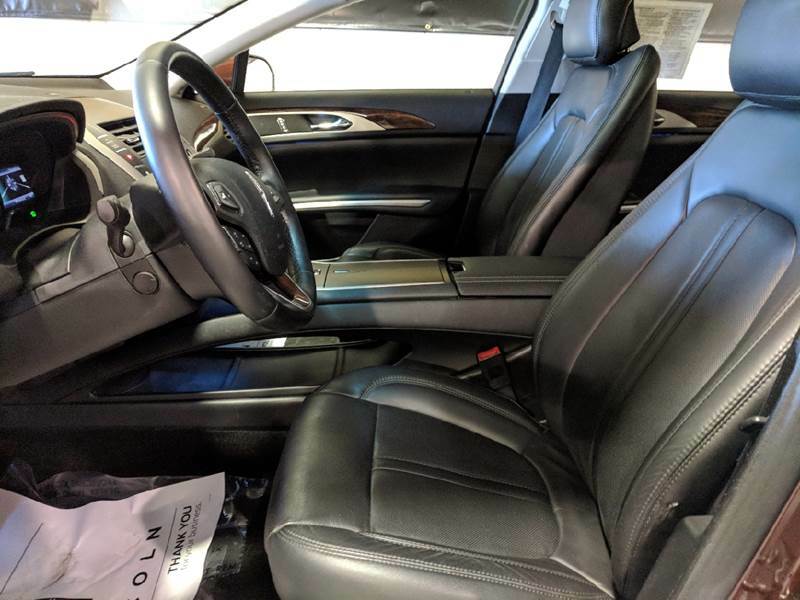 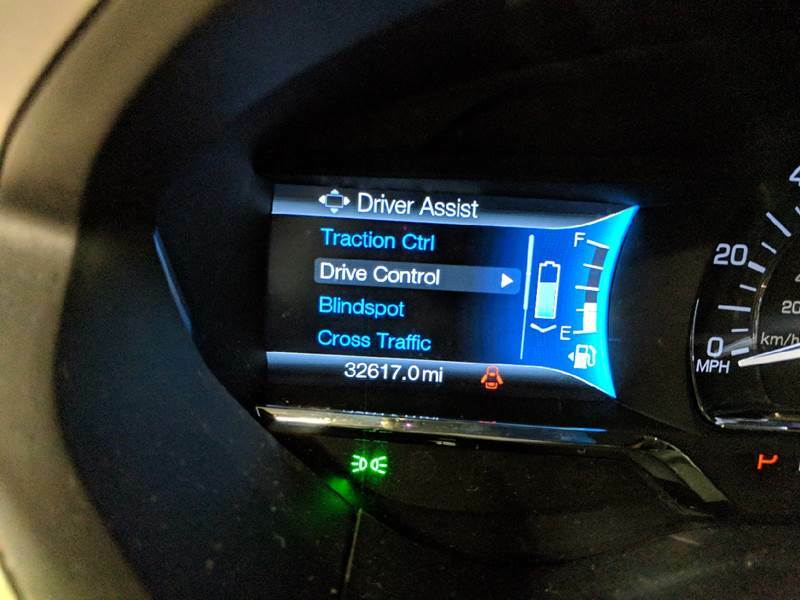 It also ALWAYS includes a Complete Vehicle History report from Auto Check, Full Tank of Fuel, 2 Keys, Owners Manual, Fresh Oil Change, new Wiper Blades at delivery, and 24-Hour Roadside Assistance. 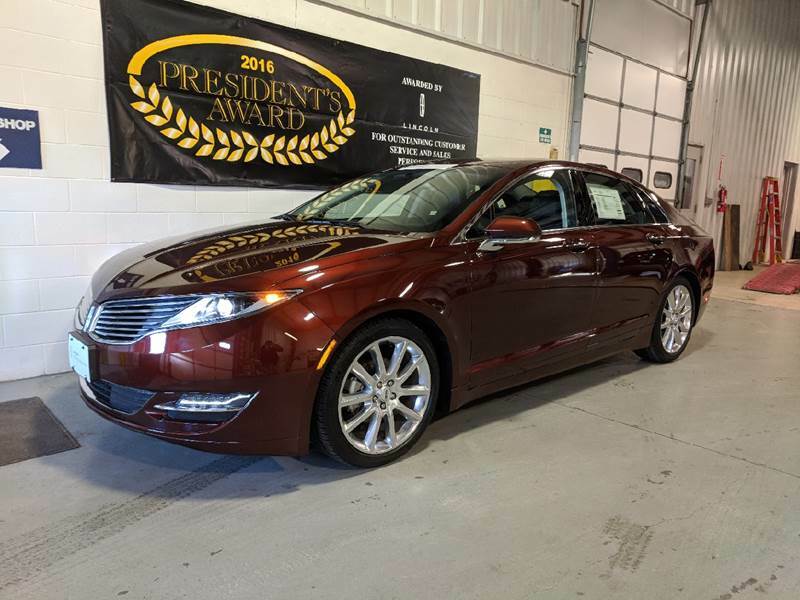 It also provides discounted Extended Service Plan Prices to “Wrap” around the Certified Pre-Owned Warranty. 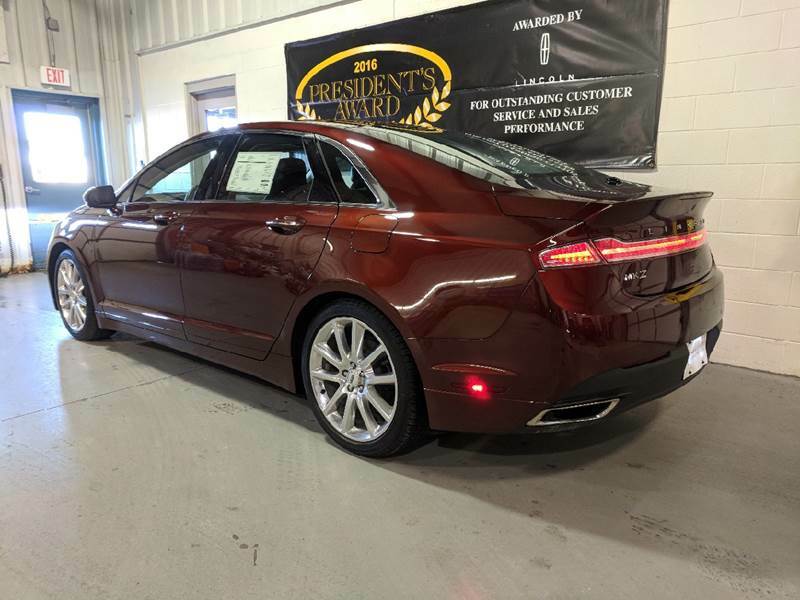 Please contact Dealer for Full Details.